We are seeing the implementation of more and more applications containers at a very high growth rate. We believe that this is because we are experiencing the confluence of two trends - the move to the Cloud and the desire - or need - for total mobility. Today, IT seems an outdated term. People are used to being able to access the world's information via their iPhone, phablet or tablet: these aren't regarded as pieces of IT equipment, they are everyday consumer items. In many instances, the devices we carry around in our pocket are more powerful than our office desktop computers; they have freed us up to be able to work anywhere, on the move. The Cloud frees companies and organisations from having large amounts of hardware and expensive support personnel who know how to keep it performing. It also removes the need for companies to invest regularly in updated equipment. But to ensure we maximise the mobility delivered by our smart devices which are often facilitated through Cloud services, we need efficient containerization technology solutions that are simple and quick to implement. Technologies such as Glassware 2.0TM from Sphere 3D, enable Cloud users to access native Windows applications on any OS device, anytime, anyplace as long as they have an internet connection. It's one of today's most enabling technologies and why it's such an exciting time to be working in this space. With over thirty years' experience in technical, senior management, and industry analyst positions in North America, Europe and the Middle East, Simon has long been recognized as a thought leader in end user computing space and includes VMware, Citrix, Dell, and Cisco amongst his past clients. Simon writes for The Virtualization Practice and Gigaom Research, and is a regular speaker at virtualization, datacenter and cloud computing events, presenting IT strategy and in-depth technical sessions, chairing panel sessions, and hosting all day workshops, as well as delivering webcasts and podcasts. 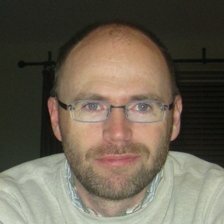 An experienced solutions architect with unmatched insight into the challenges of designing large high availability presentation and desktop virtualization systems, Simon has held key technical roles in three startups and has also served as a member of the advisory board of several other startups. In 2010 Simon founded Entelechy Associates, an independent technology analysis consultancy, and in 2015 joined virtualization and data management vendor Sphere 3D Corp. as Chief Technologist.